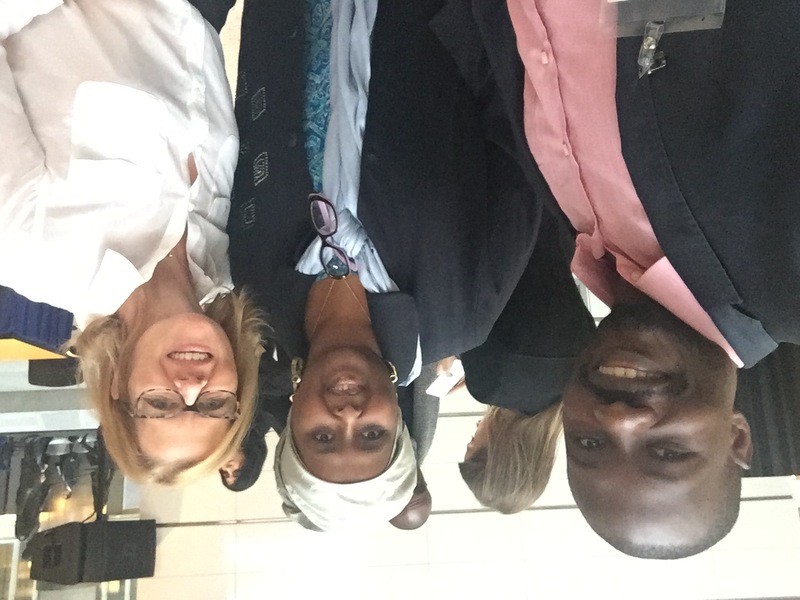 In March 2018, SALO Deputy Director, Dr Showers Mawowa attended the World Bank Fragility Forum in Washington DC under the theme, Managing Risks for Peace and Stability. 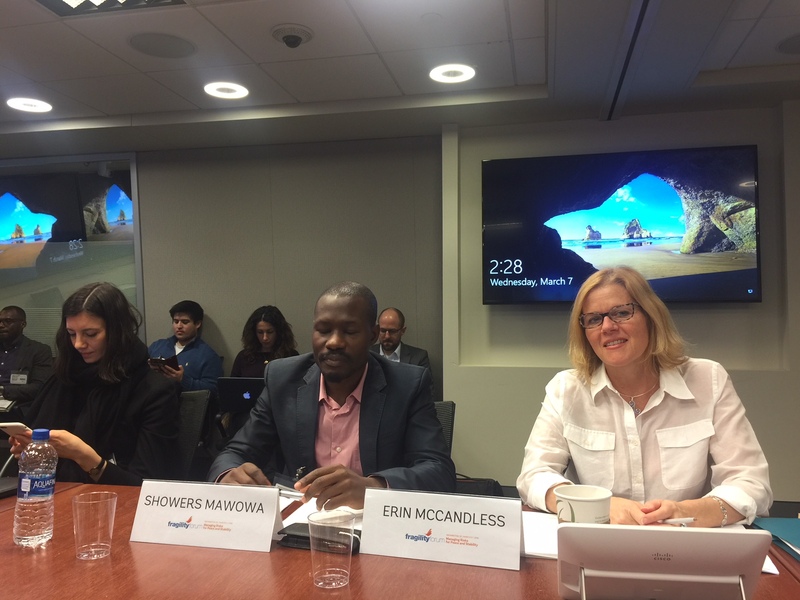 Dr Mawowa (centre) was one of the presenters for panel discussion on Forging Resilient Social Contracts where he presented findings from a co-authored (with Prof Erin McCandless of Wits University on the right) research paper on Social Contract Making and the Building of Sustainable Peace in Zimbabwe. 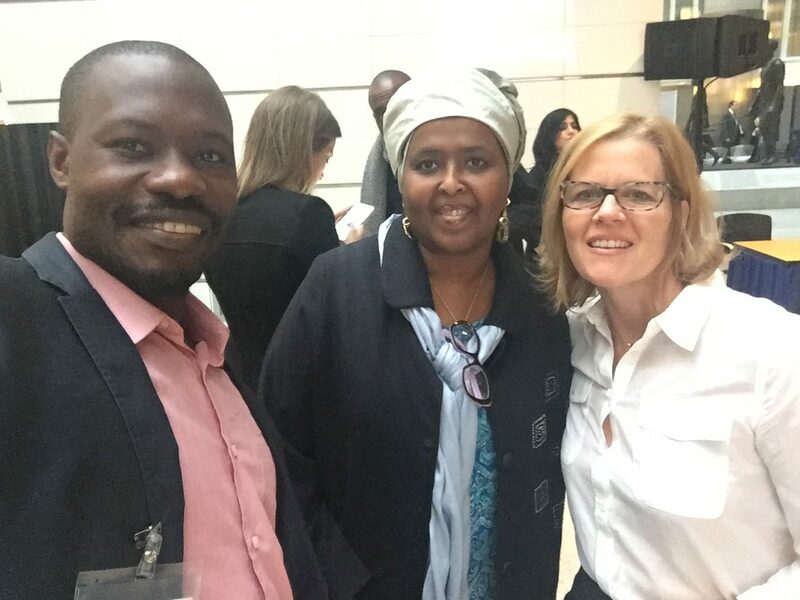 In the picture from the right, Dr Showers Mawowa, Deputy Director, SALO; Hon Deqa Yasin Hagi, Minister of Women and Human Rights, Somalia and Prof Erin McCandless, Associate Professor, Wits University and Research Director, Forging Resilient Social Contract Research and Dialogue Project. Ten civilians and a Ugandan militant died when Congolese troops clashed with rebels in the flashpoint town of Beni in Democratic Republic of Congo’s (DRC’s) troubled east, an army spokesman said on Wednesday. The incident took place on Tuesday evening when rebels attacked military positions around Beni in North Kivu, Capt Mak Hazukay told AFP. “We listed 10 dead civilians so far,” he said. A rebel from Uganda’s Allied Democratic Forces (ADF) militia was also killed, he said, adding that fighting was ongoing. Michel Kakule, the lead physician at Beni hospital, told AFP that some of the victims “had gunshot wounds while others had been attacked with machetes”. The UN Security Council on Tuesday unanimously backed a resolution that tasks the peacekeeping mission in the Democratic Republic of Congo with helping to prepare elections and avoid deadly violence. France presented the measure that renews the mandate for MONUSCO, the UN’s biggest peacekeeping mission, until March 2019 and emphasizes the need to protect civilians as the DR Congo heads toward historic elections in December. The council requested that UN Secretary-General Antonio Guterres make plans for beefing up the peacekeeping mission if needed, “looking at all options” such as sending reinforcements from other missions. Guterres will report to the council in 90 days on the contingency planning. Somali police say at least three people are wounded after a bomb attached to their vehicle exploded near the office of the International Committee of the Red Cross in the capital, Mogadishu. Officer Abdifitah Ahmed confirms that the bomb went off shortly after the three left in the vehicle from a parking lot next to the ICRC office on Wednesday. The ICRC says it is “shocked and deeply troubled” that one of its staffers was hurt. The police officer says one victim is in critical condition while the other two are lightly wounded. Speaking at the Security Council on Tuesday, Abukar Osman, Somalia’s ambassador to the UN, said the agreement between Somaliland and the UAE to establish the base in the port city of Berbera is a “clear violation of international law”. Osman also called on the Security Council to “take the necessary steps” to “put an end to these actions”. “The Federal Government of Somalia strongly condemns these blatant violations and reaffirms that it will take the necessary measures deriving from its primary responsibility to defend the inviolability of the sovereignty and the unity of Somalia,” he added. AN unspecified number of people, including a Catholic priest and children, have been killed after a clash between rival rebel groups in the Central African Republic (CAR). The deadly confrontation between the Christian extremist Anti-Balaka and elements of the Movement for Unity and Peace in CAR (UPC) has occurred in the village of Tagbara, located 70km from Bambari in the centre of the troubled country. The United Nations Multidimensional Integrated Stabilization Mission in the CAR (MINUSCA) said the fighting also resulted in several injuries and a significant displacement of the civilian population. Houses were burned and property ransacked. A Unicef employee and five other education workers were killed this week in an attack in the Central African Republic, the United Nations children’s fund said in a statement on Wednesday. The attack took place on 25 February as the group was travelling to the northeastern town of Markounda, located in a remote region near the Chadian border. Unicef declined to immediately give the nationalities of those killed. “We strongly condemn this senseless act against aid workers who were there to improve the lives of the most vulnerable populations,” Unicef’s West and Central Africa Regional Director Marie-Pierre Poirier said in the statement. The agency said it was not yet in a position to release more details on the incident. Sudanese President Omar al-Bashir on Wednesday announced a three-month extension of an ongoing ceasefire in conflict-prone parts of the country, according to the Sudan News Agency (SUNA). It is the sixth such extension since mid-2016, when the ceasefire first came into effect between the Sudanese government and a handful of rebel groups. According to a presidential decree issued on Wednesday, the ceasefire will remain in force until June 30. The truce applies to Sudan’s South Kordofan and Blue Nile states, along with the western Darfur region. The country has experienced a growth in e-commerce businesses, such as online shopping platforms and an Uber-style taxi app Mishwar. According to the most recent data from Internet World Stats, internet users made up 29% of the population in 2016 — a notable rise from the 9.3% in 2009. This number is expected to boom even further as Sudan’s young e-commerce entrepreneurs drive customers out of the shops and into the online marketplace. “The reason why e-trade at large is a new phenomenon is that we’ve been allowed to get in touch with the world once again,” said Yousif Ahmed El Tinay, CEO of Sudan’s United Capital Bank. “Some people say peace is around the corner. I would say it is not. The gap between what the government proposes as the way to resolving the current situation and what the opposition is proposing is huge and wide. It is difficult to close,” said Taban Deng Gai in a statement broadcast by the state-owned South Sudan Broadcasting Corporation. Gai was speaking at a political function organized by his faction under the theme ‘give peace a chance’ attended by high-level delegates including Minister of Public Service and Dhieu Mathok, head of the Youth league, who underlined the importance of peace and security in governance. The South Sudanese former rebel chief negotiator who turned an ally of the incumbent president made his remarks after a decision by the IGAD countries to end the confinement of the former First Vice President Riek Machar in South Africa and to bring to a country that has no direct border with South Sudan. Rebel leader Machar is a de facto prisoner in a farmhouse outside of Johannesburg. He is isolated from his friends and family and has been frozen out of South Sudan’s peace process. Dr. Machar’s wife described the conditional “lifting of house arrest” as unfair. “If you read it carefully, actually, there is no lifting of any house arrest. Because what they said is very clear that they will transfer him from where he is now, which is South Africa, to another location that is not in the region, and that would not be in any proximity with South Sudan, ’Angelina Teny, Machar’s wife said, who is also a senior opposition member. The African Union is ready to propose a settlement to the decades-long Western Sahara dispute. This is unsettling Morocco, the newest member of the continental organisation. Morocco has been illegally occupying its neighbour since 1975. Morocco has expressed its displeasure at AU commissioner Moussa Faki leading a delegation to the region to prepare a Western Sahara solution. When Morocco joined the AU last year, it was expected it would be pressed to keep its 30-year promise to hold a referendum, which will allow the people of Western Sahara to decide on their future. The UN Security Council on Wednesday told the peace envoy for Western Sahara to press on with talks on relaunching negotiations to settle the dispute over the North African territory. Horst Koehler met with the council behind closed doors to report on his meetings with representatives from Morocco, Algeria, Mauritania as well as the Polisario Front seeking independence for Western Sahara. 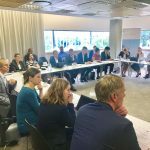 Council members expressed “their full support” for Koehler’s diplomatic efforts to “relaunch the negotiating process with a new dynamic and a new spirit,” said the council president, Dutch Ambassador Karel van Oosterom. The highly-anticipated Zimbabwe’s first presidential elections in the post-Robert Mugabe era will be credible, free and fair, the country’s Foreign Affairs and International Trade Minister Sibusiso Moyo said on Monday. “Zimbabwe is preparing for harmonised elections around July or August, and we believe that the election is going to be free and fair … a credible election. We have allowed anybody who wants to observe our elections to come in so that they can really see for themselves,” Moyo said speaking to journalists in Pretoria on the sidelines of the Southern African Development Community (SADC) Council of Ministers. The Southern African Development Community (SADC) on Tuesday said it was gearing up to support the holding of highly anticipated presidential elections in its member states — Zimbabwe and the Democratic Republic of Congo. 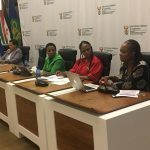 At the conclusion of a SADC Council of Ministers summit in Pretoria on Tuesday evening, Executive Secretary of the regional block Dr Stergomena Lawrence Tax said the much needed support will be afforded to the two nations, and advance observer missions had already visited Harare and Kinshasa. “How we support our sister countries is that we observe elections. In both cases we have sent and undertaken our advance missions. Those missions assess the preparedness of the country, and that was done in the DRC and also in Zimbabwe,” said Tax. Zambia’s parliament has delayed a debate due on Wednesday on a motion seeking to impeach President Edgar Lungu over accusations of breaching the constitution, according to a letter from the parliamentary clerk seen by Reuters. Zambia’s main opposition party, the United Party for National Development (UPND), filed a motion last week. The notice set Wednesday as the date for the lawmakers’ debate and vote on the motion. “In view of the gravity of the motion, the same is being studied and we shall revert to you in due course,” said the letter sent on Monday from the Clerk of the National Assembly to Garry Nkombo, UPND parliamentary Chief Whip who filed the motion. UPND spokesman Charles Kakoma said the motion would now not be debated until parliament’s next session begins in June. Signed by a third of the 166-member house, the motion needs the backing of two thirds to succeed. A humanitarian crisis in the Democratic Republic of Congo is worsening and has reached catastrophic levels in some parts of the country, with millions facing severe hunger, the UN Security Council warned on Thursday. At least 13.1 million Congolese are in need of humanitarian aid including 7.7 million who are severely food insecure, said a unanimous statement from the top UN body. The humanitarian crisis has been compounded by a doubling over the past year of the number of Congolese fleeing violence in the country who now total close to 4.4 million. Council members “expressed great concern over the deteriorating humanitarian situation, which has reached catastrophic levels in some parts of the country”, said the statement. For nearly two years, President Joseph Kabila’s regime has managed to cling to power in the Democratic Republic of Congo (DRC) despite pressure from the country’s opposition and the international community. Now, to prevent a crisis, these groups are pushing the president to accept the holding of presidential elections. Under the 2006 constitution, the President is directly elected to a five-year term – renewable only once. The first President to have been elected under these provisions is incumbent president Joseph Kabila in the 2006 elections. Elections should have been held since 2016 but Kabila has pushed back on organizing them. Kabila’s refusal to step down has numerous analysts concerned that the situation in the DRC could degenerate. The mounting opposition has denounced the state of political stagnation and continued its mobilization efforts. On February 25, a march in the streets of the capital Kinshasa was organized by the Lay Coordination Committee (“Comité laïc de coordination”, or CLC in French). Leading opposition politician Moîse Katumbi, currently in exile in Brussels, called on Congolese “lovers of justice and peace” to join the movement. At least 14 people have been killed in a car bomb blast outside a popular hotel in Somalia’s capital, Mogadishu, according to a government official. “Most of the casualties are … people who were spending time to take tea, there was devastation and buildings were damaged,” Mohamednur Abdirahman told AFP News Agency. United Nations Development Programme (UNDP) in the Somalia office solicits proposals for solar energy enterprise development in Mogadishu, Kismayo and Baidoa. Any proposal submitted will be regarded as an offer by the bidder and does not constitute or imply the acceptance of any proposal by UNDP. In responding to this request for proposal (RFP), UNDP requires all interested bidders to conduct themselves in a professional, objective and impartial manner, and they must at all times hold UNDP’s interest’s paramount. Eligible bidders must strictly avoid conflicts with other assignments or their own interests, and act without consideration for future work. A United Nations children’s agency staffer and five other education workers have been killed in an attack in Central African Republic, the UN agency said on Wednesday. The team came under attack Sunday while traveling near Markounda, a remote northwestern area near the border with Chad. “We strongly condemn this senseless act against aid workers who were there to improve the lives of the most vulnerable populations,” said Unicef’s West and Central Africa regional director, Marie-Pierre Poirier. The Unicef said it has no further details. Egyptian President Abdel Fattah al-Sisi hosted his Sudanese counterpart Omar al-Bashir for talks in Cairo on Monday, with the pair pledging to boost cooperation after tensions between their neighbouring countries. Bashir’s visit comes two weeks after the reinstatement of Sudan’s ambassador to Cairo following his recall to Khartoum in January. Ties deteriorated between Egypt and Sudan last year when Bashir accused Egypt’s intelligence services of supporting opposition forces fighting his troops in the country’s conflict zones like Darfur. One bone of contention is Egypt’s administration of the Halayeb triangle, in a mineral-rich border area near the Red Sea, which Sudan claims as its own. “We reiterate the eternal brotherly relations and common links that unite the two peoples of the Nile valley,” Sisi said in a televised news conference following a meeting with Bashir. Russian President Vladimir Putin accepted an invitation from his Sudanese counterpart Omar al-Bashir to visit the North African country, Sudan’s state news agency said on Thursday. Bashir congratulated Putin who affirmed his country’s commitment to investing in Sudan’s energy, oil, gas, and gold mining sectors. “The president extended an invitation to the Russian president to visit Sudan and discuss developing relations and building a strategic partnership and Putin accepted the invitation,” SUNA said. It provided no date for the visit. Bashir is wanted by the International Criminal Court in the Hague for genocide and crimes against humanity in Sudan’s Darfur region, and is mostly shunned by Western leaders. The United States on Wednesday imposed sanctions on 15 South Sudanese oil operators that it said were important sources of cash for the government, an action aimed at increasing pressure on President Salva Kiir to end the country’s conflict and humanitarian crisis. The companies and government bodies would in future require special licenses to do business in the United States, the State Department said. “The South Sudanese Government, and corrupt official actors, use this revenue to purchase weapons and fund irregular militias that undermine the peace, security, and stability of South Sudan,” the department said in a statement. The groups on the list “are involved in activities that are contrary to the foreign policy interests of the United States,” according to a related Department of Commerce document published on Wednesday. The South Sudanese government was not immediately available to comment. As the armed conflict rages on, South Sudan’s President Salva Kiir is looking for ways to revive the economy. The solution he came up with was to replace the finance minister. But will that help? Economists say the reason South Sudan’s economy is in disarray is instability. The only way to revive the economy, they argue, is to restore peace and stability, thereby giving production a chance and encouraging investors to come back to the country. The United Nations on Saturday threw its support behind new elections in Zimbabwe set for July and urged the government to kickstart the African nation’s economy as an “urgent priority”. Achim Steiner, administrator for the United Nations Development Programme (UNDP), was in Harare as part of a three-day trip that saw him meet Zimbabwe’s President Emmerson Mnangagwa. “UNDP is committed to continue supporting the preparatory process for the elections and economic recovery efforts,” Steiner told reporters. Signing the agreement with Cyprus-based Karo Resources, Mines Minister Winston Chitando said work would start in July, with the first output of platinum group metals expected in 2020, aiming to reach 1,4-million ounces annually within three years. Located in the Mhondoro-Ngezi platinum belt, west of Harare, where Impala Platinum Holdings has operations, the project will include a coal mine and power station to produce electricity for the smelter, and should employ 15,000 people when fully implemented, according to Karo head Loucas Pourolis. Moscow has provided free military aid to the Central African Republic at the country’s government’s request, Russian Foreign Ministry Deputy Spokesman Artyom Kozhin said on Thursday. “At the request of the Central African Republic’s president, Russia decided to provide the country with free military aid,” he said. According to him, with the consent of the United Nations Security Council committee, the Russian Defense Ministry handed a batch of small arms and ammunition to the armed forces of the Central African Republic and sent five military and 170 civilian instructors to train the country’s military servicemen. Kozhin stressed that the aid “is provided in strict compliance with the UN Security Council’s sanctions” imposed on Central African Republic. “Russia has been providing aid in line with the global community’s efforts aimed at strengthening the Central African Republic’s security forces, handing full security responsibility over to them and finding a sustainable solution to the prolonged internal armed conflict,” he added. Five peacekeepers from South Africa face allegations of sexually exploiting women in the Democratic Republic of Congo who are now seeking child support, a United Nations spokesperson said on Tuesday. One of the cases involves a minor who was allegedly sexually abused when the incidents took place between 2014 and 2016 in North and South Kivu. “All five incidents involve paternity and child support claims,” said UN spokesperson Stephane Dujarric. Zimbabwe’s trade union umbrella body has reportedly called on government to “disband” the country’s electoral body, the Zimbabwe Electoral Commission (ZEC), and “allow the United Nations to supervise” the upcoming general elections. According to New Zimbabwe.com, the Zimbabwe Congress of Trade Unions (ZCTU), said this following the recent trip to Russia by ZEC’s chairperson Justice Priscilla Chigumbu in the company of President Emmerson Mnangagwa’s special advisor Chris Mtsvangwa. The trip was meant to “observe” the eastern European country’s just ended presidential election. But, the ZCTU’s secretary general Japhet Moyo expressed concern, saying that the trip had since compromised the credibility of the forthcoming elections. South Africa is one of 44 African countries to sign a declaration on establishing a free trade region in Africa. AFP reported that the signing of the agreement establishing a free trade area is seen as vital to the continent’s economic development, according to the head of the African Union. “The agreement establishing the CfTA was signed by 44 countries,” said Moussa Faki Mahamat, chairperson of the AU commission. 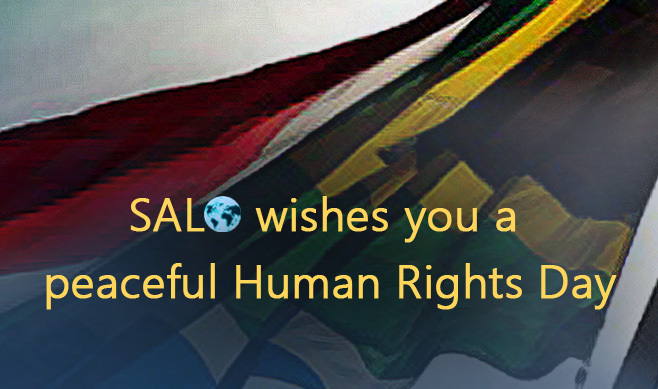 As President Ramaphosa indicated in his State of the Nation Address, there is still much work to be done to ensure that all South Africans can enjoy these progressive human rights in practical terms. 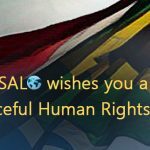 With the aim of tackling violent discrimination against LGBTI persons living in townships specifically, SALO is currently convening a series of community dialogues around this issue in Soweto. 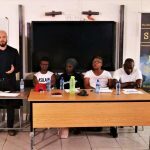 These community dialogues are supported by the Dutch and Irish Embassies, and facilitate candid discussion between national government leaders and relevant community stakeholders including religious leaders, youth leaders, community leaders and taxi operators. Ethnic strife in northeastern Democratic Republic of Congo (DRC) has claimed dozens of lives in recent days, according to officials. Local civil society leader Jean Bosco Lalu told Reuters news agency on Tuesday that at least 40 people had been killed in ethnic violence between Hema herders and Lendu farmers in Ituri province in the last 48 hours. A government official said they had recorded 30 deaths, AFP news agency said. “There are certainly other bodies out in the bush. A search is under way,” a government official told AFP. Exiled Congolese opposition leader Moise Katumbi launched a campaign Monday to be elected president in polls scheduled for December, unveiling his new “Together for Change” party in South Africa. “We will fight the battle to take power – and we will win,” said Katumbi at a meeting of several hundred supporters at a hotel outside Johannesburg. Democratic Republic of Congo’s election was originally scheduled for late 2016, but has been twice delayed, leading to unrest in the vast mineral-rich country. Somalia’s lower house of parliament on Monday backed the federal government’s rejection of the Berbera port deal entered into by semi-autonomous Somaliland, Ethiopia and DP World. A Voice of America journalist, Harun Maruf, reported that the lower house had voted to reject the deal through a landslide with 168 of the 170 lawmakers nullifying all agreements between the United Arab Emirates-based company and Somaliland. DP World have reached agreements with Somaliland over the Berbera and Bosaso ports but with the Monday vote – both deals are “null and void.” If the Upper House reaches a similar decision the President will sign it into law. Militia fighters attacked, kidnapped and then raped en masse a large group of women in an isolated area of Central African Republic last month, Medecins Sans Frontieres (MSF) said on Thursday. “Women are selling their bodies to the Blue Helmets out of desperation,” said Bishop Juan Aguirre Munoz of Bangassou. The bishop spoke while staying in his native Spain on U.N. advice after his diocesan vicar general narrowly survived a machete attack. In an interview with Madrid’s Alfa y Omega Catholic weekly, he said up to 2,000 Muslims had been sheltering in the seminary adjoining Bangassou’s Catholic cathedral, protected by peacekeepers, since a wave of anti-Muslim violence in May 2017 left dozens dead. The United Arab Emirates has offered $1.4 billion to Sudan’s central bank to help Khartoum tackle an acute foreign exchange crisis, the official Sudanese news agency reported Tuesday. The Sudanese pound has weakened against the dollar in recent months on the black market amid a shortage of hard foreign currency, in turn forcing the central bank to devalue the pound this year. “President Omar al-Bashir has been informed by the UAE that it is giving Sudan 4 billion dirhams… as a central bank deposit to help support the country’s foreign currency reserves,” the official SUNA news agency reported. The report did not provide further details on the aid. Following a meeting between Egyptian and Sudanese intelligence, Sudan’s National Intelligence and Security Services (NISS) has directed the country’s newspapers to stop their hostile media campaign against Egypt, the Sudan Tribune reported. The United Nations Mission in South Sudan (UNMISS) must boost efforts to protect civilians against the senseless violence that has plagued the country for over four years and publicly report on the human rights situation, Amnesty International said. The UN mission in South Sudan plays a crucial role in providing much-needed civilian protection, and timely public reporting on the human rights situation in the country. “With the continuing conflict and associated human rights violations in South Sudan, the possibility of civilians returning to their homes or being resettled remains remote. The Protection of Civilians (POC) sites are truly life-saving for hundreds of thousands of people in desperate need of protection,” said Joan Nyanyuki, Amnesty International’s Regional Director for East Africa, the Horn and the Great Lakes. South Sudan has run out of cash and the economy will not be fixed unless the ongoing civil war is brought to a halt. President Salva Kiir openly admitted as much on Wednesday and acknowledged that peace and stability had to return to the country in order for investors and other money-generating activities to resume. The South Sudanese leader attributed the cause of being a cash-strapped nation to the war sparked by the power struggle which has ended in a more than four-year conflict with no resolution in sight despite global and regional efforts to salvage the situation, the Sudan Tribune reported. Kiir made his comments during the swearing-in process of new finance minister following the sacking of predecessor Stephen Dhieu Dau earlier in the week. US Western Sahara Foundation welcomed Friday the European Court of Justice’s ruling on the European Union’s fishing agreement with Morocco, stating that it does not apply to Western Sahara and reaffirming Saharawi people’s inalienable right to self-determination. Scholte said the United States does not recognize Morocco’s alleged sovereignty over Western Sahara, noting that the occupied Saharawi territories are excluded from US-Moroccan free trade agreement signed in 2004. Democracy advocates in Swaziland should put forward policies that would attract people to support political parties, the US Ambassador to the kingdom said. Explaining why political parties were needed was not enough, Lisa Peterson told a meeting on multiparty democracy, good governance and human rights at the Happy Valley Hotel, Ezulwini, on Saturday (10 March 2018). 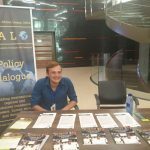 Peterson said a poll conducted in 2015 by Afrobarometer had suggested about 36 percent of those questioned supported political parties in Swaziland. King Mswati III rules Swaziland as sub-Saharan Africa’s last absolute monarch. Political parties are banned from taking part in elections and the King chooses the Prime Minister and senior ministers. Advocates for democracy continue to be arrested under the Suppression of Terrorism Act. Members of parliament have blocked funding to state-controlled radio in Swaziland because they say they are not being allowed on air. One said the stations under the Swaziland Broadcasting and Information Services (SBIS) were being used for ‘character assassination’. Nkwene MP Sikhumbuzo Dlamini told the House of Assembly SBIS had been used to assassinate his character as a member of parliament. A retired Zimbabwean general and acolyte of ex-president Robert Mugabe has formed a political party to challenge President Emmerson Mnangagwa at the polls later this year, the new grouping said on Monday. Egypt’s foreign minister Sameh Shoukry met with South Sudan President Salva Kiir in the capital, Juba, on Monday to encourage an end to the country’s civil war and to give assistance in health and education. South Sudan is well into its fifth year of fighting and the conflict, which has killed tens of thousands and displaced millions, shows no signs of ending. “Egypt has been a steadfast supporter of the people of South Sudan in their darkest of hours,” said Mayiik Ayii Deng, South Sudanese Cabinet minister in the president’s office. Ethiopia recently signed an agreement with Russia to set up nuclear technology to help power the Horn of Africa country. The agreement was signed last week during the visit of the Russian foreign affairs minister, Sergey Lavrov who met Ethiopia’s Minister for Foreign Affairs, Dr Workneh Gebeyehu in Addis Ababa. “We agreed to strengthen economic, trade and investment relations between the two countries. We have also discussed ways to cooperate on various sectors, including in setting up nuclear technology centre, education, science, and technology,” said Workneh. He was quick to indicate that the nuclear development program which will be launched after the conclusion of the agreement will be used for “peaceful purpose”, reports local media FANA Broadcasting Corporation. Russia is deepening its military cooperation with the Central African Republic, donating small arms to the country’s military and holding diplomatic talks with its leader as it seeks to strengthen its influence on the continent. The Central African Republic (CAR) has been struggling with serious turmoil, civil war and brutal regime shifts in the past decade. Following conflict between government forces and the Seleka rebel coalition in 2012-2013, an arms embargo was implemented by the UN in December 2013. Elections held in March 2016 established a new constitution and brought President Faustin Archange Touadéra to power. He made reconciliation, disarmament and demobilization of non-governmental armed forces his priorities. But these groups remain active, causing much violence across the country and making the redeployment of governmental authority a very difficult task. President Emmerson Mnangagwa’s government has been insincere in its commitment to holding a free, fair and credible elections, MDC-T president Nelson Chamisa, told Sadc envoys Tuesday. 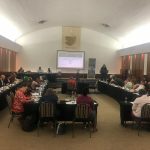 The seven-member Sadc Electoral Advisory Council, chaired by Advocate Leshele Thoahlane, is currently on a week-long fact finding mission in Zimbabwe which is preparing for crucial polls between July and August this year. Chamisa headed a mine member delegation that included secretary general Douglas Mwonzora, vice president Elias Mudzuri and youth assembly leader Happymore Chidziva among others. Brussels 13 March 2018 – POLISARIO Front condemns the decision to host the 2018 Crans-Montana Forum in the Western Saharan city of Dakhla; illegally occupied by Morocco. The forum will take place on March 15-20; and is a clear attempt to whitewash the brutal daily reality of Morocco’s illegal occupation in Western Sahara. 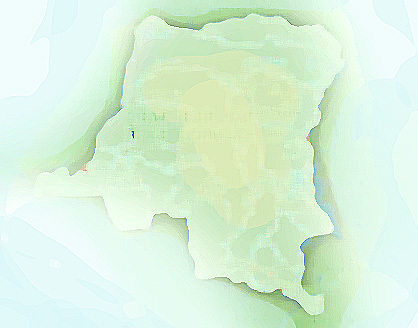 The promotional material for the forum describes Dakhla as part of the Kingdom of Morocco – in contravention with International and EU law. Polisario reaffirms its preparedness to seek recourse in legal action if necessary when the sovereignty over Western Sahara is threatened or undermined. POLISARIO Front urges Crans- Montana Forum to desist from holding its meetings in Western Sahara. The European Court of Justice (ECJ) ruled unequivocally in December 2016 and January 2018 that Western Sahara and the Kingdom of Morocco are two distinct and separate territories. The final declaration of the ordinary Session of the African Union Assembly, held 28 – 29 January 2018 in Addis Ababa, called for a boycott of the Crans –Montana Forum meeting. The declaration reads “The Assembly REITERATES its repeated calls, in particular its declaration adopted at its 24th Ordinary Session held in Addis Ababa, from 30 to 31 January 2015, on the Crans – Montana Forum, a Switzerland-based organization, to desist from convening its meetings in the city of Dakhla, in Western Sahara and APPEALS to all Member States, African civil society organizations and other relevant actors to boycott the upcoming meeting scheduled to take place from 15 to 20 March 2018”. Western Sahara remains the last colony in the African continent and it has been on the UN list of Non-Self-Governing Territories since 1963 when it was under Spanish colonial rule. Morocco’s systematic human rights abuses in occupied Western Sahara, including torture and discriminate against Saharawis, are well documented by independent Human Rights organisations. The General Assembly has since consistently recognised the inalienable right of the Sahrawi people to self-determination and independence. By Tamuka Charles Chirimambowa, a research associate for the Southern African Liaison Office (SALO). The recent leadership transitions in the Zimbabwe African National Union Patriotic Front (Zanu-PF) and the African National Congress (ANC), after acrimonious succession battles in the ruling parties, brings to the fore unresolved debates on nation state formation, democratisation and economic transformation. By TAMUKA CHARLES CHIRIMAMBOWA. In this article I will borrow from Professor David Moore’s characterisation of the Zimbabwe Crisis to be one of “primitive accumulation, nation-state formation, and democratisation”, simply put, how to create wealth and distribute it, building a community of citizens and the capacity of citizens to exercise agency to resolve issues in a civil manner. This point is generally applicable to the African Crisis in the post-colony. There are three key areas of contestation when considering the future, namely questions of citizenship and rights, how people are governed and how they relate with their leadership and lastly, how wealth is acquired and distributed. The way these three issues are interconnected has made it difficult for leadership to successfully address Africa’s challenges. In Zimbabwe, the new administration has already hit the ground running, projecting itself as reformist in the mould of China’s Deng Xiaoping or Tanzania’s John Pombe Magufuli. In South Africa, the new leadership has also projected itself as the new brooms that will cleanse the ruling party and country from State Capture. However, in order to maintain their reformed status and regain significant government control, the ANC will have to contend with President Jacob Zuma’s last two years in office. Interestingly, both successors in Zimbabwe and South Africa are former vice-presidents who have fallen out of favour with their president. In both cases, the common fault line is allegations of State Capture in one way or another. In the case of Robert Mugabe, it was Grace Mugabe’s alleged grooming for the presidency as well as the G40. While in South Africa, it was allegations of State Capture regarding the Gupta family. Although Nkosazana Dlamini Zuma is a political actor in her own right with a reputation for efficient administration, shown by her position as minister of home affairs and arguably at the AU, and clean hands, she was seen by some as a protégé of her ex-husband and likely to protect the Guptas. Both Zanu-PF and the ANC held elective congresses in 2017 and will be heading into national elections in 2018 and 2019 respectively. Already, the two countries are in election mode and at the centre of policy debate has been the question of economic transformation, in particular the inclusion of blacks within mainstream economics as well as controlling the levers or means of production. The major outcome of the Zanu-PF extra-ordinary congress was the watering down of the Indigenisation and Economic Empowerment Act, whereas for the ANC it was the adoption of Radical Economic Transformation (RET) and appropriation of land without compensation. It is my contention that supporters or leaders of the ruling parties have tended to advocate for populist and redistributionist policy positions without paying heed to economic fundamentals and, in the end, breed authoritarian governance. At the centre of this authoritarian governance is a creation of messiahs and subjects, rather than leaders and citizens, a necessary dynamic that has been lacking in the African democracy matrix. In Africa, in general, there has been a flip flopping between radical economics and neo-liberalism with adherents of each school adopting populist solutions that seek to empower black people on the basis of socialist dogma or market fundamentalism without paying heed to the nexus of the local and international political economy. The end result of this politics has always come to naught, thus leaving people in abject poverty and ultimately the diminishing of the people’s belief in democratic institutions to bring a good life. Thus, the argument becomes that Africa needs strong men or benevolent dictators, who can commandeer the economy and politics. The danger of this logic is to reduce every challenge in our society to a nail and thus the need for a hammer, even where unnecessarily so. In South Africa, there is the argument that Mandela and democracy failed to give people their economic freedom and in particular land. It is also argued that in Zimbabwe, Mugabe gave the people their land and economic freedom despite the many problems he brought to the country. It is for this reason that Mugabe became popular in Africa and the developing world, as he is seen as a messiah of black people against white supremacism and imperialism. Interestingly, those who succeeded Mugabe, whilst claiming to extol his legacy have revised the economic indigenisation programme and the position on compensation of land. A key point to note has been that the toppling of president Mugabe from power exposed shady deals in which the ruling elite have been secretly compensating farmers using the state in the form of Treasury Bills and, at the same time, venturing into ‘partnerships’ (fronting) with deposed white farmers. The Zimbabwe Independent of 08/12/2017 reveals that the ruling elite sought title deeds to their newly acquired land, yet it has consistently argued against property rights for ordinary Zimbabweans. Similarly, after her dethronement from power, Joyce Mujuru, met the farmer whom her family dispossessed of land to arrange compensation. The sustained attack on property rights and their characterisation as only white and Eurocentric by African Elites, speaks of duplicity within our policy circles. In addition, Mugabe’s revealed relationship with Interfresh Holdings’ Hamish Rudland exposes the duplicity of African elites who Nicodemously seek property rights, yet discouraging the citizenry against their pursuit. Mugabe is on record speaking out against leasing of land to whites by Zimbabweans. This challenge of duplicity has also been observed in South Africa’s Black Economic Empowerment, where elites have become fronts of Capital (white or Gupta) at the expense of real economic transformation. Programmes of economic transformation do not need to be radical to take people out of poverty, but should be well thought out within a broader economic strategy. For instance, when one looks at land, the idea is not to seek vengeance but to address questions of social justice and economic transformation at the same time. Beyond the socio-cultural significance of land, we also have to think of the neglected question of production (i.e. in terms of food security, employment and role of land in economic value chain). The failure to appreciate the role of land and any other economic asset beyond the culture of rent seekers will only breed acquirers in the sense of Mobutu’s Zaire or what Moeleletsi Mbeki describes in Architects of Poverty as “an anti-developmental parasitic elite, only interested in their personal accumulation projects and not development of the ordinary person”. At the same time, there is the danger of policy makers swinging from one dogma to another at the heed of false prophets. Already, in Zimbabwe, the new administration of President Emmerson Mnangagwa is now on a local, regional and international charm offensive to former white commercial farmers to return to land and farm. Mnangagwa’s administration has gone further to promise compensation of white farmers and remove the 51% indigenisation threshold, except for diamond and platinum mining. This marks a radical departure from Znu-PF’s radical politics. However, this, without policy and institutional reforms, will not solve the African challenges of unemployment, poverty and underdevelopment, as it reduces policy reform to swinging from left dogma to neo-liberal dogma without paying attention to detail. These policy somersaults in Zimbabwe provide a poser to the ANC, especially after the adoption of Radical Economic Transformation and appropriation of land without compensation as policy positions. South Africa’ leadership has to be cognisant of the fact that the realities of the modern economy and its sensitivities to radical and uncertain policies have the potential to lead the country down the Zimbabwe Crisis path. This is an argument that many have often wanted to dismiss or not contemplate discussing. South Africa will not transform its economy on the basis of dispossessing whites and replacing them with blacks. Building a modern economy is not that simple, unless South Africa simply wants replacement of black faces with white faces in the economy. The challenge is that of RET without structural transformation. But some would argue, structural transformation by nature takes a long time. Frantz Fanon warned us many years ago of the structural limitations of this approach to economic change in his book The Wretched of the Earth. While the ideals and arguments of radical economic transformation and appropriation of land without compensation may appeal well for the ordinary South African, the realities of cases from elsewhere in Africa is that these have failed to work. In Mozambique they had to re-open the country to the Portuguese after dispelling them. In Zambia, they had to re-privatise the mines after nationalising them and in Zimbabwe they are now begging the white farmers to return. South Africa does not need to follow the Zimbabwe or Mozambique route of destruction and then to somersault years later and clamour for the return of white capital to the economy. Going forward, it is critical for the new Zanu-PF and ANC leadership not to pander to revolutionary gusto and emotions while being oblivious to the mutual interconnectedness of the nation-state formation, democracy and wealth creation and distribution questions. One of these questions cannot be successfully resolved whilst neglecting the other two. These questions are symbiotically linked. But his death, combined with Robert Mugabe’s coup-led removal as president of ZANU-PF and the country just a few months ago, could mark the end of the Zimbabwean political parties’ internecine fighting. Unfortunately the men in uniform filled the vacuum created by both parties’ factionalism won’t budge easily. Tsvangirai’s rise to represent many Zimbabwean’s hopes for a democratic polity beyond Mugabe and ZANU-PF started with his leadership of the Zimbabwe Congress of Trade Unions in the late 1980s. He was instrumental in divorcing it from a corrupt relationship with ZANU-PF. He also supported the efforts of the university students and the Zimbabwe Unity Movement to deconstruct the one-party state. Meanwhile Mugabe and ZANU-PF promised the unruly war-veterans huge monthly pensions and that he would speed up the take-over of around 1,500 white farms. He also depleted the fiscus when he joined Laurent Kabila in his efforts to stave off Paul Kagame’s proxies in the Democratic Republic of the Congo’s second war. Thus even at its birth, the MDC was placed between the social democratic rock of the the working class and new social movements and the hard place of private property rights and other neo-liberal verities. These were the only some of the tensions plaguing the leader of an opposition party rather than a trade union or social movement. In 2008 unprecedented hyper-inflation, unemployment, infrastructural decay and millions facing famine undoubtedly had a lot to do with Tsvangirai’s victory in the March elections. But his 47% to Mugabe’s 43% meant a run-off. ZANU-PF then waged what some observers called its mini-Gukurahundi. To save his party members’ lives Tsvangirai withdrew. He was also forced to agree to the South Africa initiated “government of national unity” from 2009 to 2013. This certainly encouraged many MDC members to abandon movement politics for the elitist parliamentary and semi-governance option. The highly suspect 2013 election put ZANU-PF in Zimbabwe’s driver’s seat again – although it took four years for it to reject its sleeping pilot via a coup that gave the country as well as ZANU-PF a slightly new president. That the coup-makers could only make it light, with democratic pretense, was due in large part to the MDC’s efforts over the decades to keep the democratic discourse strong. November 2017 witnessed tumultuous events in Zimbabwean politics. After months of factional struggles between the Lacoste faction led by then Vice President Emmerson Mnangagwa, also nicknamed the crocodile, and the Generation 40 (G40) faction around President Robert Mugabe and his wife Grace, Mugabe fired Mnangagwa on the 6th November. This followed Mugabe’s warning to Mnangagwa two days before when Grace Mugabe was booed at a rally in Bulawayo. The President’s wife threatened the embattled Vice President with the call that the ‘snake must be hit on the head.’ This was the First Lady’s decisive move in her bid for the Vice Presidency in the upcoming Zanu PF congress in December 2017. This most recent factional struggle in Zanu PF follows a long history of violent internal battles within the party, from the years of the liberation struggle in the 1970s around ethnic and ideological questions. A few years prior to his own party exile, Mnangagwa played a central role in the removal of the previous Vice President Joice Mujuru, the wife of a key liberation commander Solomon Mujuru. 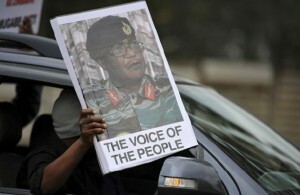 As Miles Tendi has demonstrated, Mnangagwa, in support of the Mugabe’s, with the central involvement of Army Chief Constantine Chiwenga and the machinery of the military intelligence, conspired in the ousting of Joice Mujuru. This event took place after a long factional struggle between the Mujuru and Mnangagwa factions since the 1990s.1 Thus both the Mugabe’s succession plan and Mnangagwa’s long held Presidential ambitions have been in play for some time. While they have at certain times coincided in their strategic intent, at some point the final confrontation between the two was always on the cards. 1 M.B. Tendi, State Intelligence and the Politics of Zimbabwe’s Presidential Succession. African Affairs, 2016. DOI: 10.1093/afraf/adis 074. 2 Press Statement: Termination of Employment of Vice President Emmerson Mnangagwa. S.K. Moyo, Minister of Information, Media and Broadcasting Services, 6 November 2017. 3 Press Statement-­-Former Hon VP ED. Mnangagwa 8 November 2017.